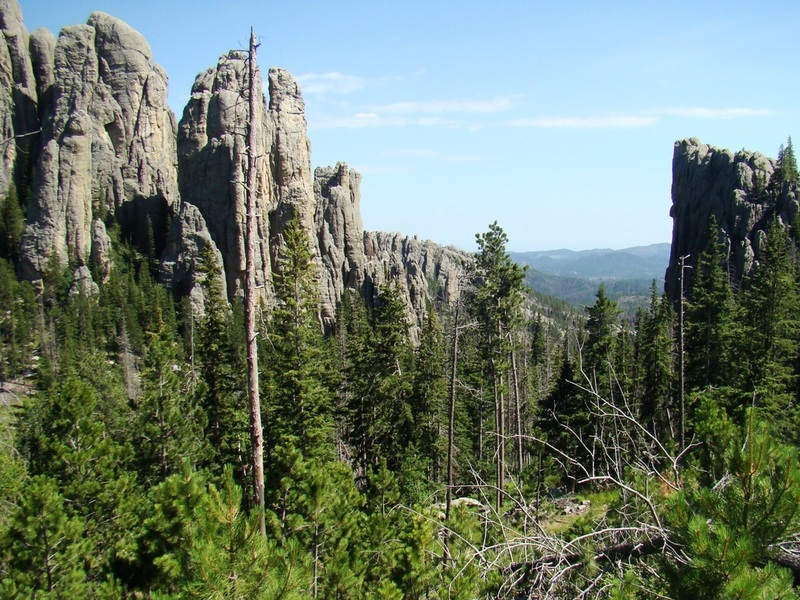 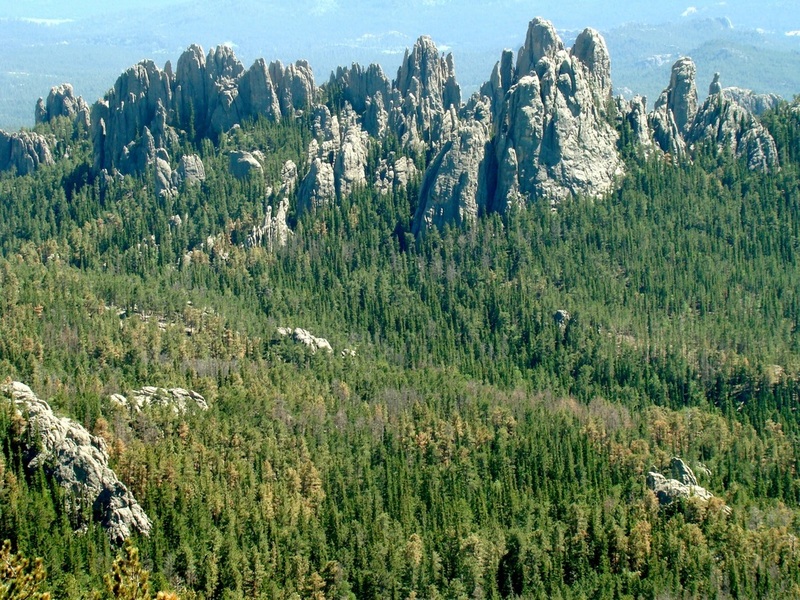 Cathedral Spires is one of the most beautiful areas in the Black Hills, with tall granite spires rising hundreds of feet above the surrounding terrain. 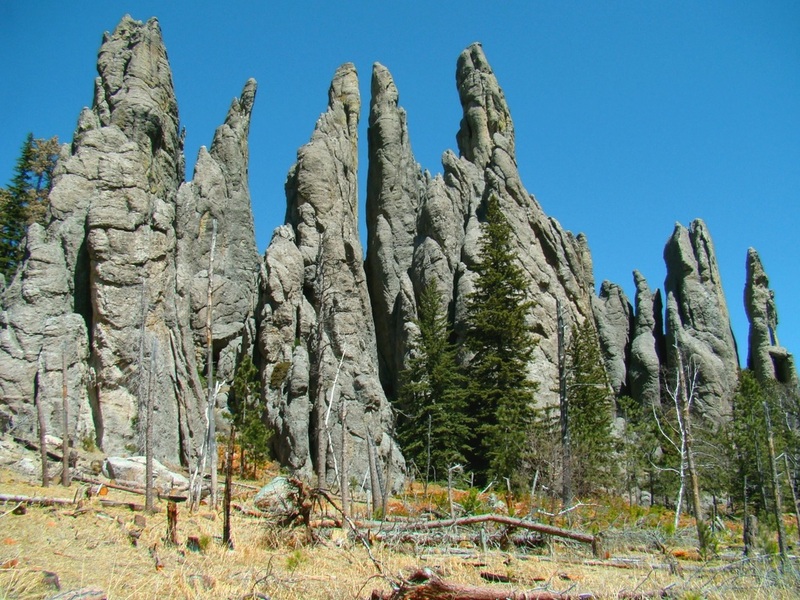 The highest point in Cathedral Spires is 6,860 feet. 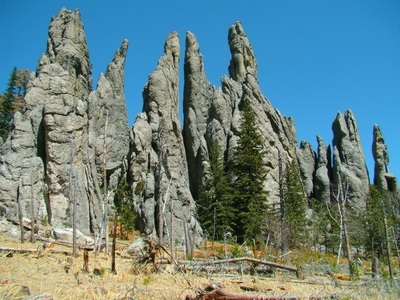 Reaching the tops of any of these pinnacles requires technical climbing. 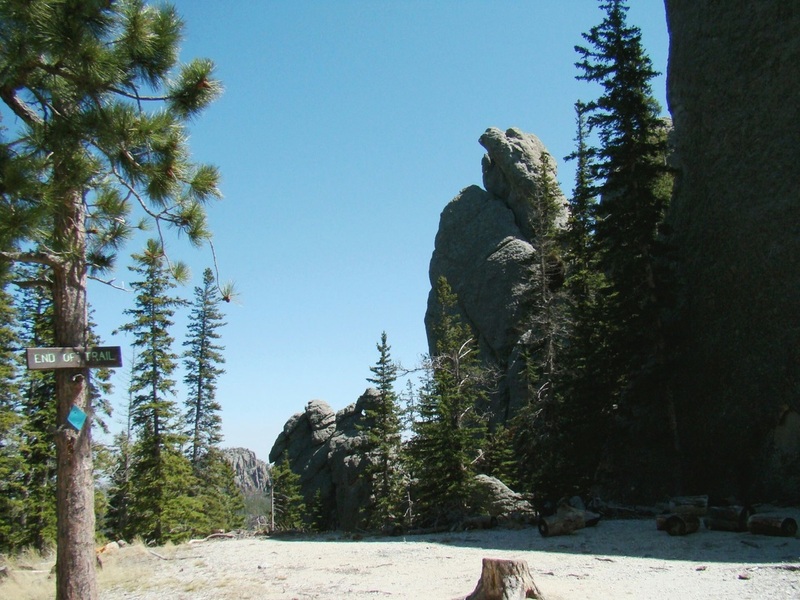 The nearby Sylvan Rocks Climbing School offers beginners lessons and guided ascents. The Cathedral Spires Trail can be accessed from multiple locations. 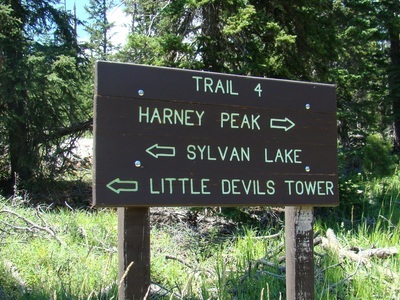 The most commonly used trailheads are the Sylvan Lake trailhead for Trail 4, the Little Devils Tower trailhead on Trail 4 (about 1 road mile east of Sylvan Lake on the Needles Highway) and the Cathedral Spires trailhead, located around 2 miles east of Sylvan Lake on a switchback in the Needles Highway Highway 87). 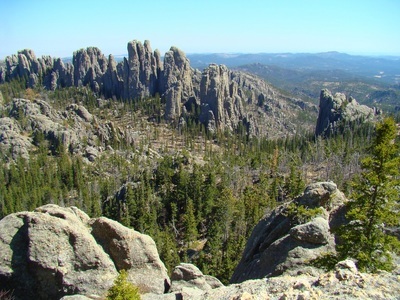 Hikers are also able to access the upper end of the Cathedral Spires Trail from Black Elk Wilderness trails that intersect with Trail 4 closer to Harney Peak. From Sylvan Lake to the Cathedral Spires Trail junction via Trail 4 is about 1.5 miles. 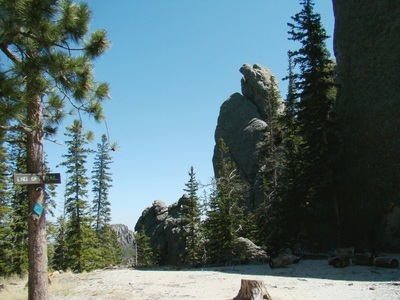 From the Little Devils Tower trailhead on Trail 4, it is about 1.2 miles to the junction with a short connecting trail to the Cathedral Spires Trail. At the junction, the connecting trail drops down to the upper end of the Cathedral Spires Trail that passes through the spires. 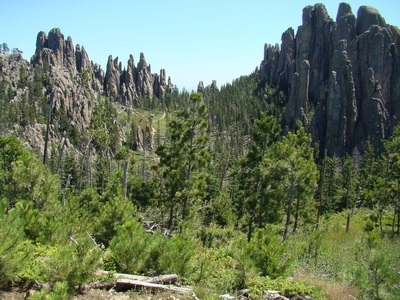 From the Cathedral Spires trailhead on the Needles Highway, it is about 1 mile to the junction with Trail 4. 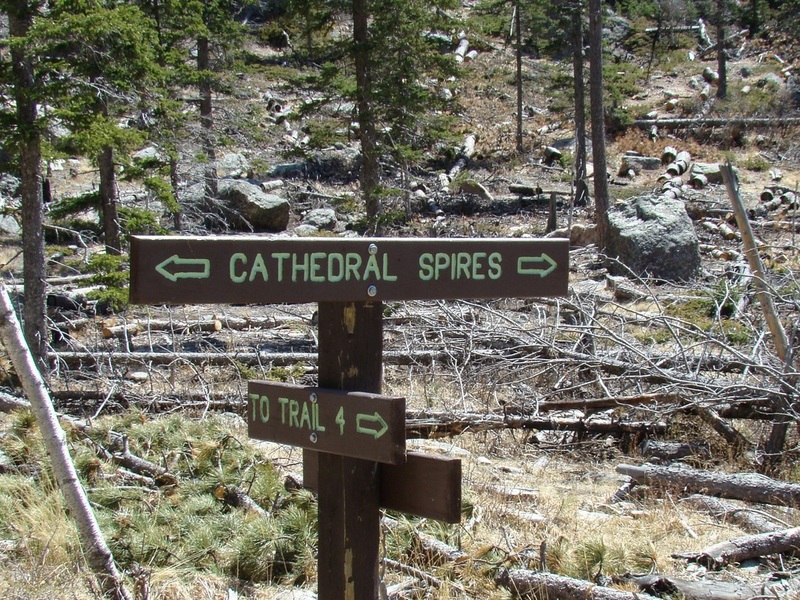 The Trail 4 route to Cathedral Spires is a little longer, but also easier, with only one short moderately challenging section a little ways before the junction with the Cathedral Spires Trail. The route from the Cathedral Spires Trailhead on the Needles Highway is definitely all strenuous and not something that should be attempted by anyone out-of-shape or with any kind of health problems - not one we recommend in this site. 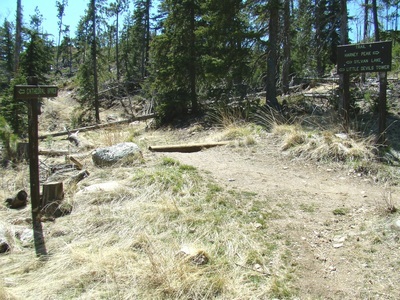 The spur trail runs in the little valley between the spires.